things that go bang in the night? providing fellow dog lovers with the perfect solution. 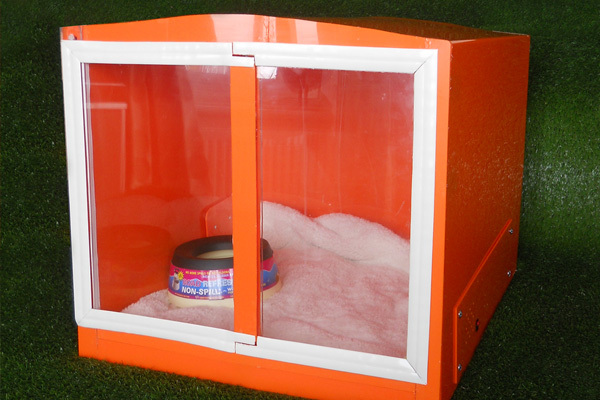 The Quiet Kennel, offers dog owners the ability to protect their beloved pets from loud noises such as fireworks, airshows, and the barking of other dogs, as well as enabling those with noisy dogs to get a good nights sleep and put an end to potential neighbourly disputes without causing distress to their canine companions. 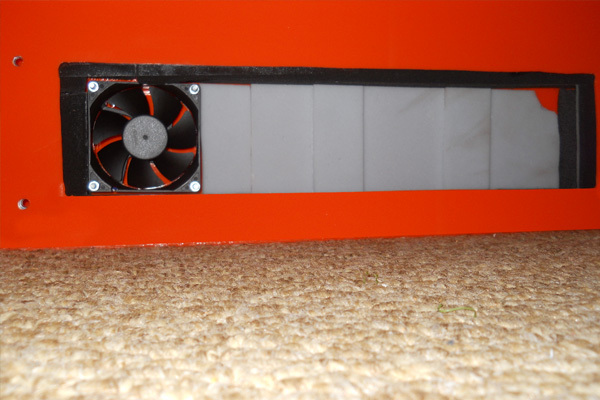 The walls are filled with acoustic soundproof foam, this design greatly reduces noise pollution both inside and out. 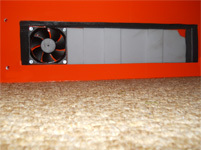 Fully ventilated with multiple air holes, the double fan air circulation system keeps the kennel well ventilated at all times, without causing a breeze. 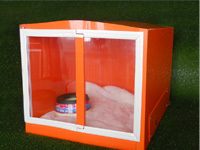 Operated by sensory touch pad, as soon as the animal walks into the kennel a sensory touch pad built into the base, activates the fans. 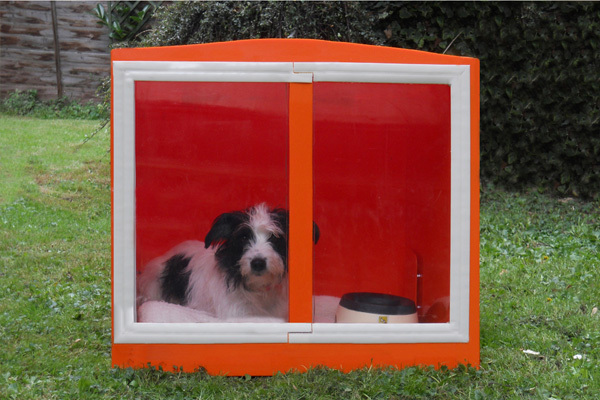 Spring loaded double layer Perspex and polycarbonate door ensures maximum noise reduction whilst enabling the dog to walk in and out of the kennel as he pleases, yet the door still shuts tight enough behind him to keep the noise level down. 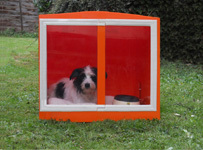 The Quiet Kennel™ is currently made to order in Great Britain. To order yours, for a quote or further information please contact us.